Rabbi Gabrielle takes leave from her rabbinical duties to pursue a doctorate in biblical studies at the University of Chicago. She is summoned to Israel by the Director of Antiquities in Jerusalem when her scholarly live-in boy friend cannot be found to help investigate the robbery of a newly discovered cave at Qumran, site of the famous Dead Sea Scrolls. In the search to find him, Gabrielle becomes aware of her friend’s involvement in this robbery and while attempting to shield him, gets swept into a cloak and dagger intrigue involving the Catholic Church and the Government of Israel. 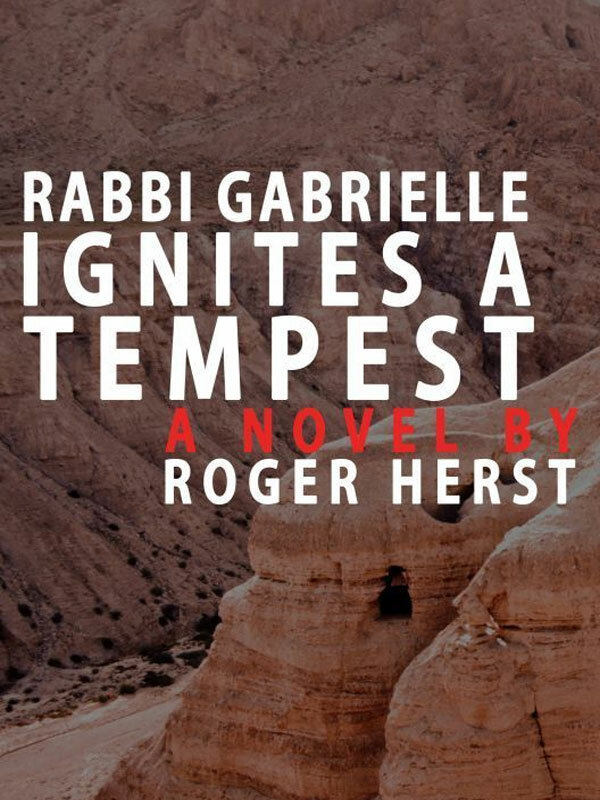 You can purchase the book online from Amazon at http://www.amazon.com/Rabbi-Gabrielle-Ignites-Tempest-ebook/dp/B005G42V8Y/ref=pd_sim_kinc_1?ie=UTF8&m=AG56TWVU5XWC2.